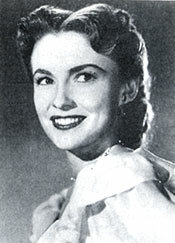 Joan Leslie, the beautiful star of so many Warner Bros. classics of the ‘40s has had a most unique and diverse career. 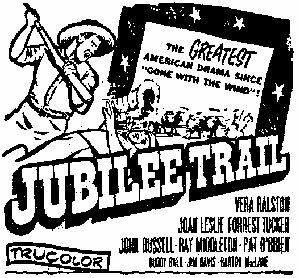 Debuting in a small part in Greta Garbo’s “Camille” (‘36), the child actress (born 1/26/25) had roles in many films—including the Nancy Drew and Jones Family series—before hitting the big time in 1940 when she landed the role of the lame girl, Velma, in Humphrey Bogart’s “High Sierra”. 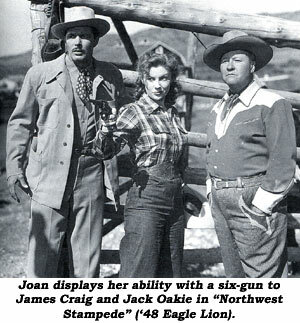 Warners gave her a new last name (Joan Brodel—pronounced Bro Dell—is her real moniker), and a long term contract which resulted in starring roles in such classics as Sergeant York” (‘41) and the 1942 Best Picture winner, “Yankee Doodle Dandy”. 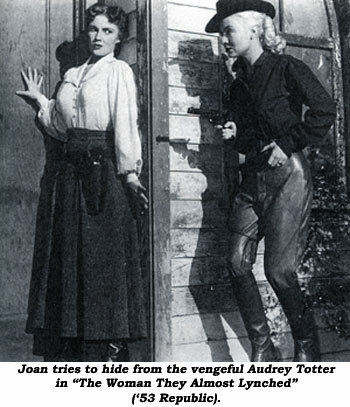 Several people have said they had trouble out of Craig; and Joan was no exception. “He was a pill…not easy to work with. He seemed to have a chip on his shoulder and it showed in everything he did. 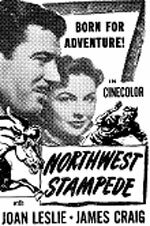 We went on location for months to western Canada, near Calgary, where they had the famous Calgary Stampede. We were there shooting during the roundup. 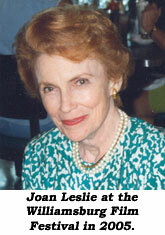 Perhaps Hollywood will wake up (wise up) and return to the time when scripts had a story, and stars like Joan Leslie Caldwell had morals. 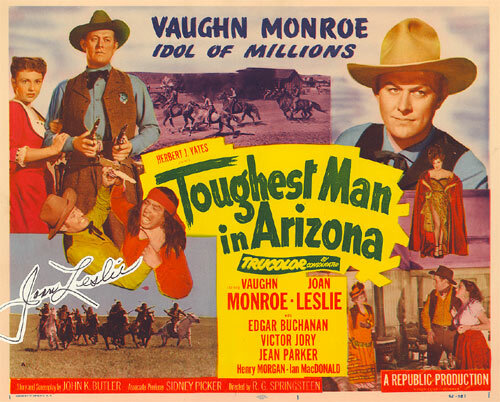 Movies: Northwest Stampede (‘48 Eagle Lion)—James Craig; Man In the Saddle (‘51 Columbia)—Randolph Scott; Hellgate (‘52 Lippert)—Sterling Hayden; Toughest Man in Arizona (‘52 Republic)—Vaughn Monroe; Woman They Almost Lynched (‘53 Republic)—John Lund; Hell’s Outpost (‘54 Republic)—Rod Cameron; Jubilee Trail (‘54 Republic)—Forrest Tucker. 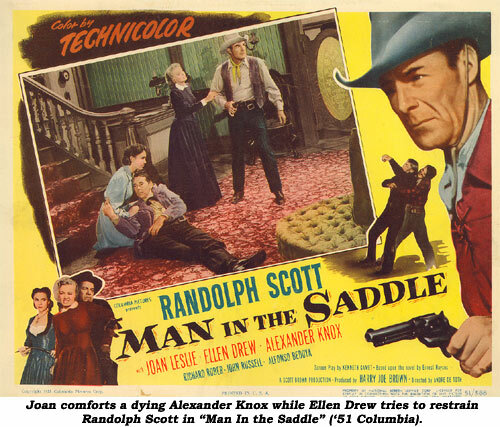 TV: Ford Theatre: Old Man’s Bride (‘53); GE Theatre: Day of the Hanging (‘59); Branded: Leap Upon Mountains (‘65).